Break out the Maulerfiends, dust off your Defilers, and rev up your Venomcrawlers – the Daemon Engine-mastering Lord Discordant is almost upon us! Next weekend, we’ll be continuing our Chaos-tastic release-athon with a new kit that lets you add this ferocious, mounted Warpsmith to your army. 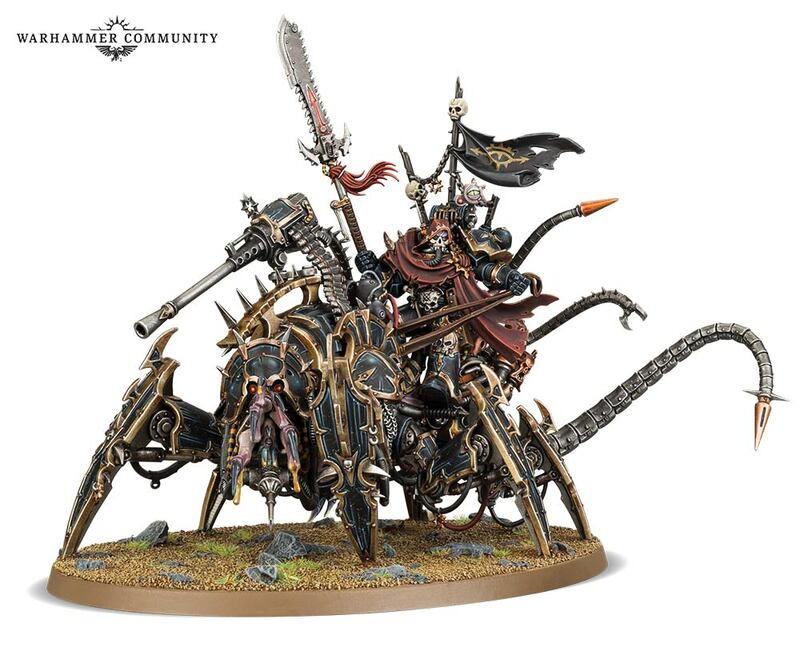 These guys are fantastic for Chaos players who like their Daemon Engines, healing them in battle as well as giving them an additional +1 to hit – perfect for ensuring that your Forgefiends, Maulerfiends and, if you’re going all out, Khorne Lords of Skulls find their mark. A Lord Discordant is a deadly combatant in his own right, too. At range, you’ll be able to devastate your foes with your choice of autocannon or baleflamer, while up-close they’re capable of dismantling unfortunate enemies with mechantendrils, talons and the brutal impaler chainglaive. 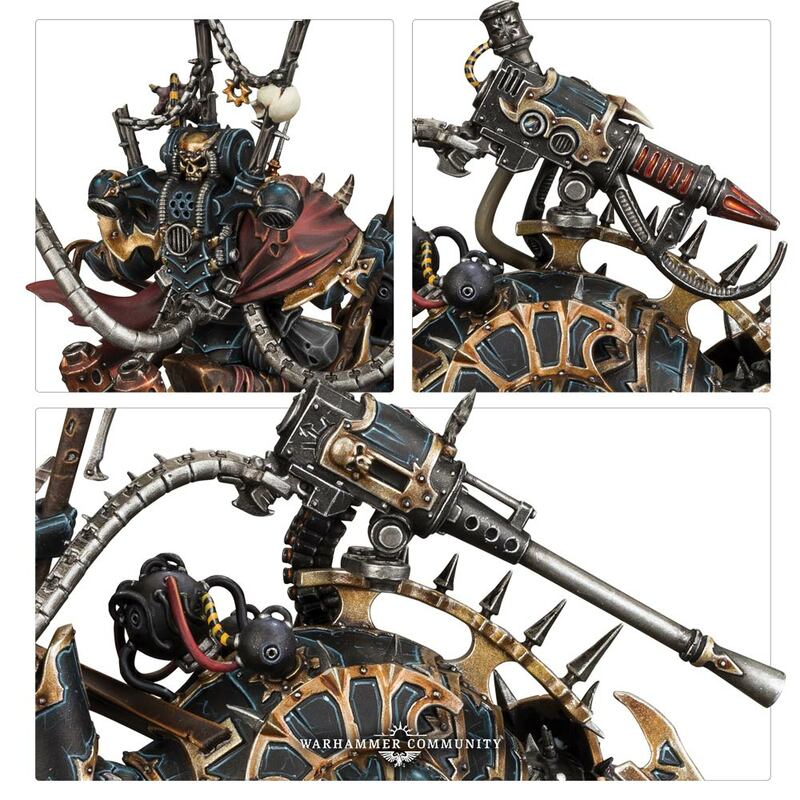 The Lord Discordant kit, while named after a particularly evil specimen on Vigilus known as Vex Machinator, can be used to build any Lord Discordant you like. 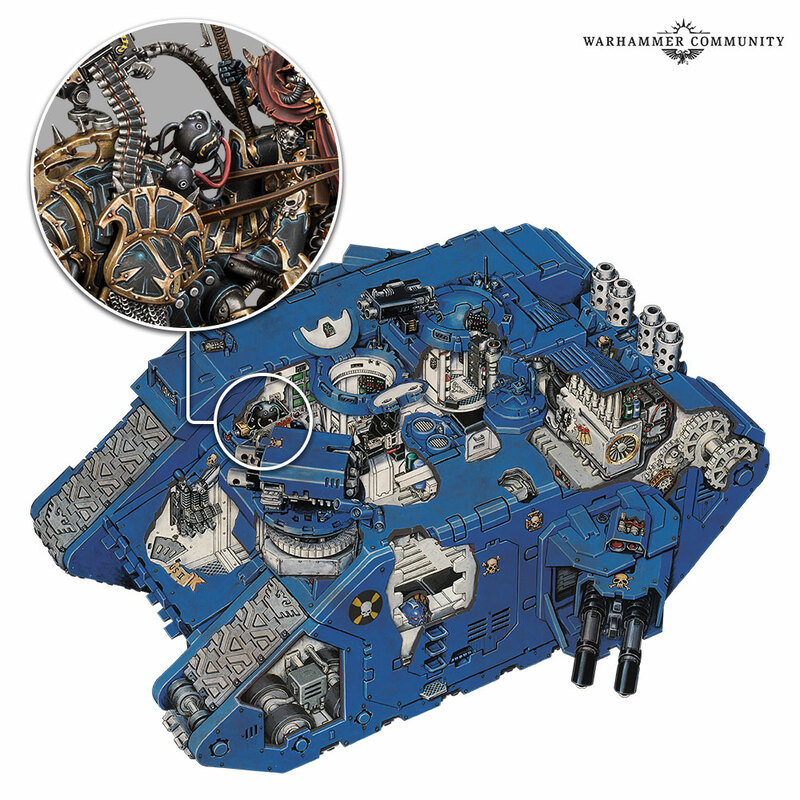 The model has a wealth of detail to look out for, like the symbol of the Dark Mechanicum, grisly bionics and the machine spirit chamber from a Land Raider you might recognise from this classic cutaway. Inside the kit, you’ll find a choice of guns, the option to take a magma-cutter or techno-virus injector, plus additional plating you can add to his mount’s head. The Lord Discordant will be available to pre-order next week – in the meantime, you can find his rules in both Vigilus Ablaze and Codex: Chaos Space Marines.